The REALTOR® Hall of Fame honors DeKalb REALTORS® who have made extraordinary and distinguished contributions to the real estate profession and markets in Georgia over a period of at least 20 years. Founder and 1959 President, Mr. Benefield was a guiding force in organizing REALTORS® in DeKalb and Gwinnett counties. 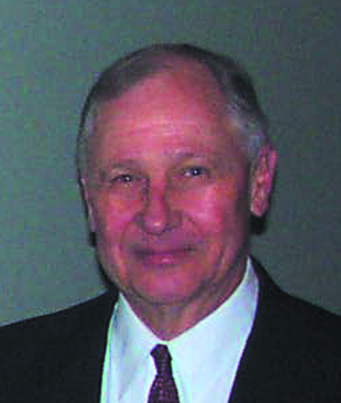 He pioneered much of the residential development of DeKalb and surrounding counties in the 50s and 60s. During his presidency, a portfolio of maps was created of metro Atlanta showing county zoning, sewers, water mains, gas mains, public schools, public transportation, and existing and proposed highways. He was a charter member of Georgia MLS. Georgia Real Estate Commissioner from 1976 until 2006 and recipient of the E.A. Isakson Award, Mr. Clark was a leader in building relationships with the Georgia Association of REALTORS® to develop education and professionalism in the real estate business while protecting the public interest. Recognized nationally for his work, Mr. Clark has testified before the U.S. Senate and has commentary featured in several text books. 1971 President and charter member, Mr. Cox was the face for REALTORS® at the Georgia Capitol Building. After a 24 year career as a noted REALTOR® in DeKalb County, Mr. Cox became the first Executive Vice President of the state association in 1975, serving until his retirement in 1990. The Boardroom at the GAR Headquarters building was dedicated to him in 2005. 1973 President and REALTOR® of the Year for DeKalb and Georgia Associations, Ms. Nelson chaired the WCR Bylaws Committee and obtained the state charter. She was the first woman in Georgia to earn the CRB designation. She was local and state WCR President and Dean of GRI. She received the GAR President’s Award in 1983 and was inducted into the National Association’s honorary, Omega Tau Rho. DeKalb named an award for her, the Mary Nelson Spirit Award. In 1970, Ms. Robinson became the first female President of the DeKalb Asssociation. She personally contacted the 116 active REALTORS® asking them to serve and be involved. Ms. Robinson served as President of the MLS and on the committee to build our first headquarters in the Decatur Federal Savings and Loan Building (the first local board to own its headquarters). She was one of a group of leaders that led discussions on establishing a metropolitan board. Mr. Scott was a founder and 1964 DeKalb President as well as the 1968 Georgia Association President. During his Presidency, he led active committees and was involved in advocacy for the development of Highway 78 and in obtaining radio and press coverage of real estate issues. During his term, a Commercial-Industrial Division was established. He served as Regional Vice President of the National Association and was inducted into its honorary, Omega Tau Rho. 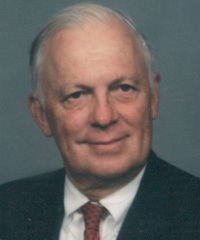 Founder and 1963 President and 1975 Georgia Association President, Mr. Thibadeau was also Chair of the Georgia Real Estate Commission. He was named REALTOR® of the Year by the Georgia Association and the only person to receive the award twice at DeKalb. He was instrumental in guiding GAR into a modern era by hiring an Executive Vice President and securing land for a new headquarters building as well as serving as the Building Committee Chair. He was instrumental in developing a number of residential subdivisions in metro Atlanta. He was a founder of Georgia MLS and served as its President. Founder and 1958 President, in 1950 Mr. Thibadeau, his younger brother John, and two others formed Thibadeau, Shaw and Brannan. By 1954, their company had become Atlanta’s leading home seller, a position they held for a number of years. In a thirty year period, he developed over forty home subdivisions in Atlanta near Emory University, in Dunwoody, Stone Mountain, and in Gwinnett and Forsyth Counties. He served as President of the DeKalb Development Association and the DeKalb County Chamber of Commerce, and Member of the Executive Committee of the Metropolitan Rapid Transit Committee of 100 which set in motion the creation of the Metropolitan Rapid Transit Authority.